Deciduous azalea with rich green foliage that turns to crimson and purple in autumn. 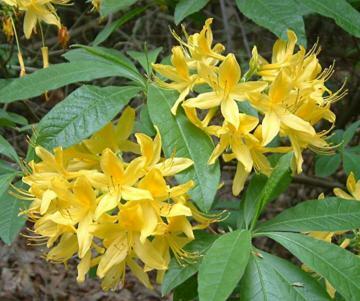 Trusses of very fragrant yellow flowers in spring. Native to the Caucasas and parts of eastern Europe. Occasionally naturalises in Britain.